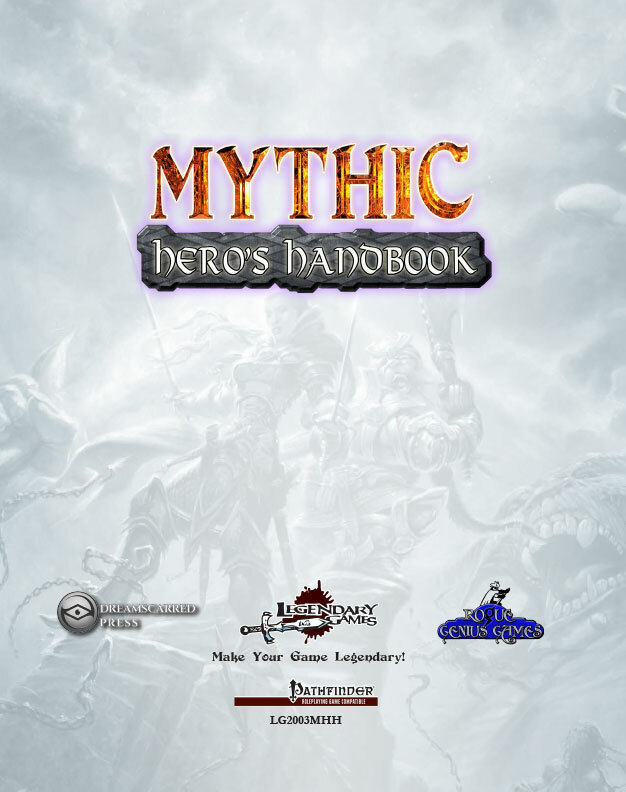 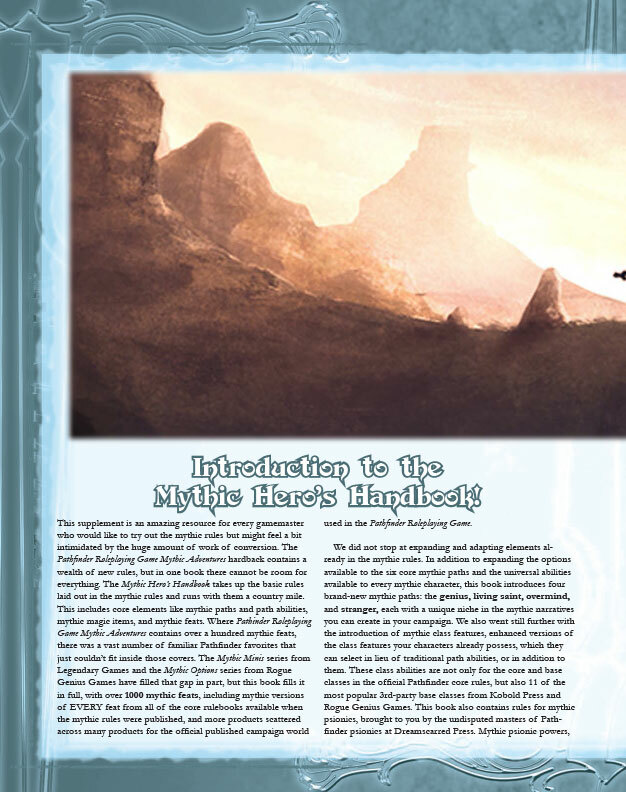 The Mythic Hero's Handbook brings you an incredible array of expansions for the mythic rules for the Pathfinder Roleplaying Game! 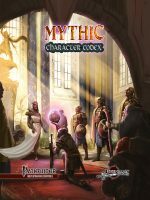 You'll find exciting and innovative ideas for existing rules alongside a wealth of all-new material from the authors that know mythic like nobody else. 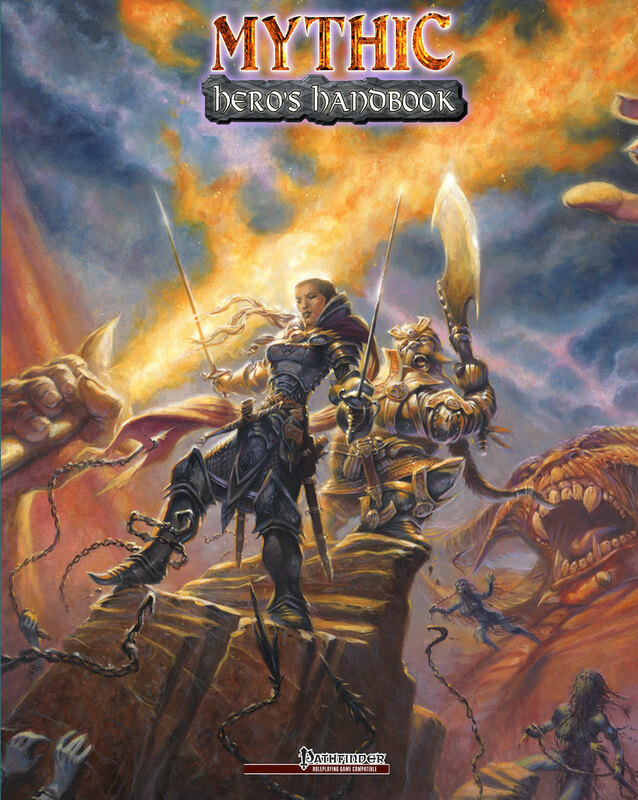 You'll find options galore to suit any character build and inspiration for new heroic directions to take on your path to immortality, whether your character is a holy hierophant or treacherous trickster, an indomitable champion or inventive genius, a steadfast guardian of others or a steely-eyed stranger ready to launch a roaring rampage of revenge! 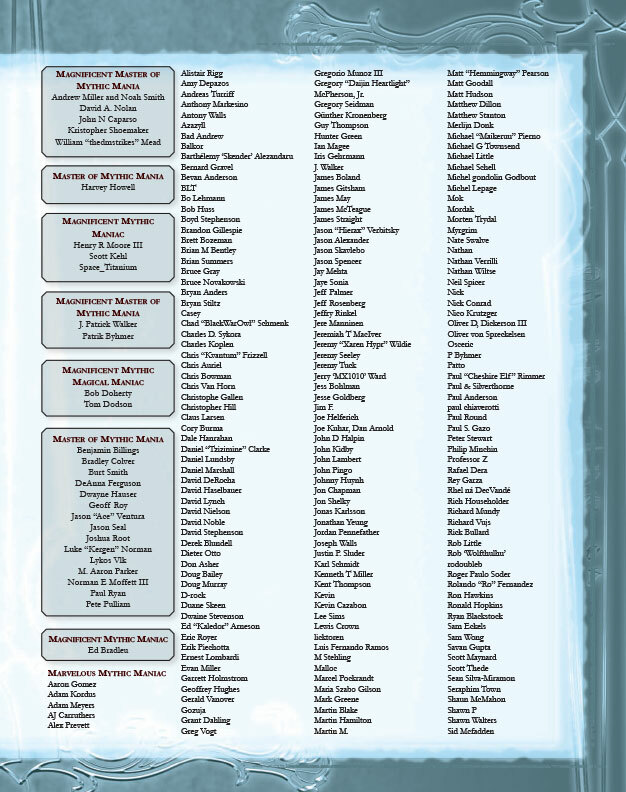 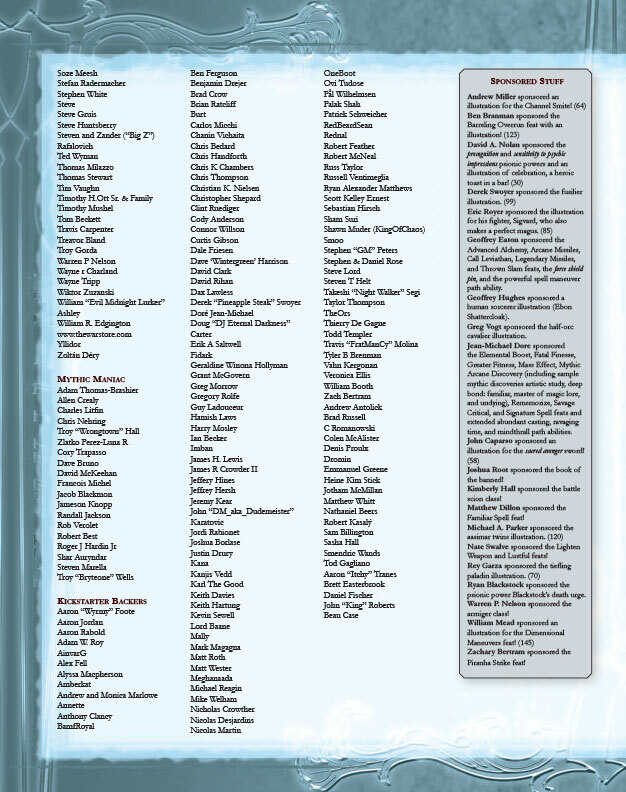 - Over 120 new path abilities for the archmage, champion, guardian, hierophant, and trickster mythic paths and universal path abilities for every mythic character! 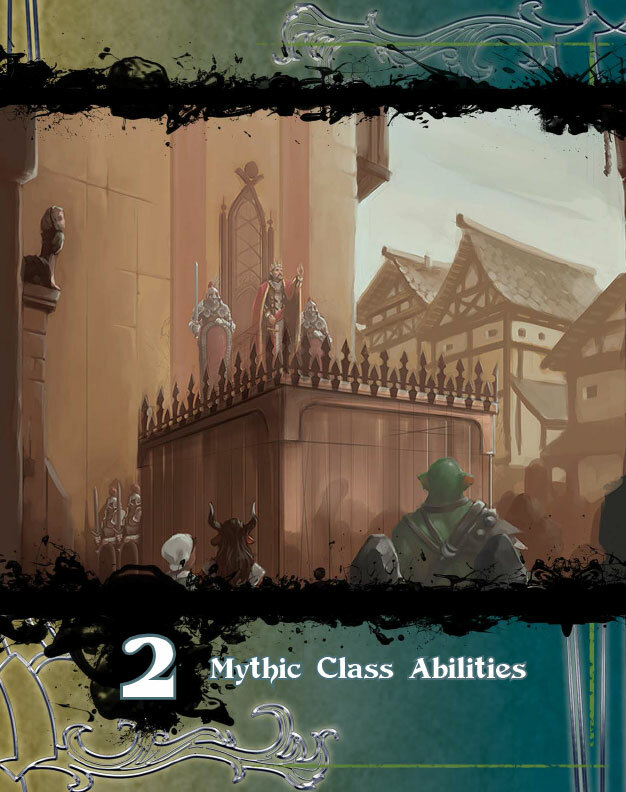 - Four brand-new mythic paths - the genius, living saint, overmind, and the vengeful stranger - with over 150 path abilities exclusively for them! 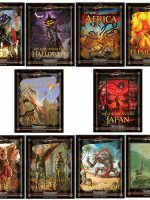 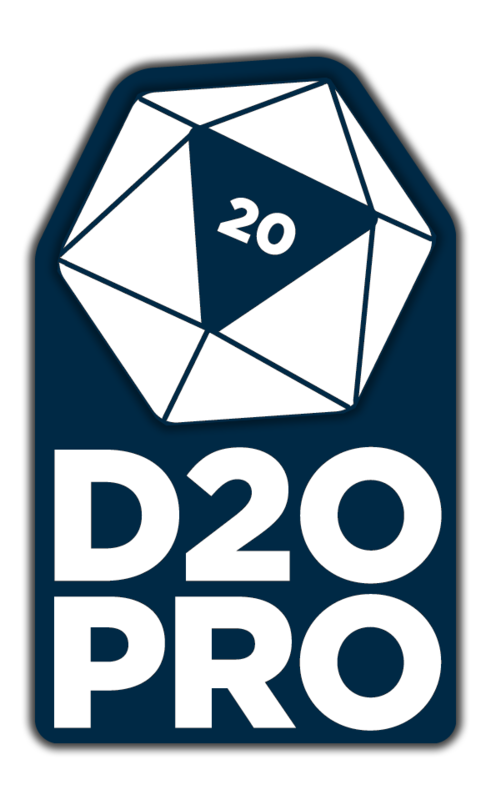 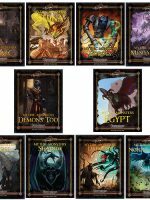 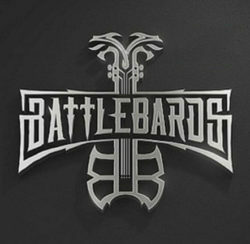 - Mythic class features for over 30 character classes for levels 1 to 20, including every core and base class in the core rules plus 11 more classes from Kobold Press and Rogue Genius Games like the battle scion, dragonrider, time thief, and white necromancer! 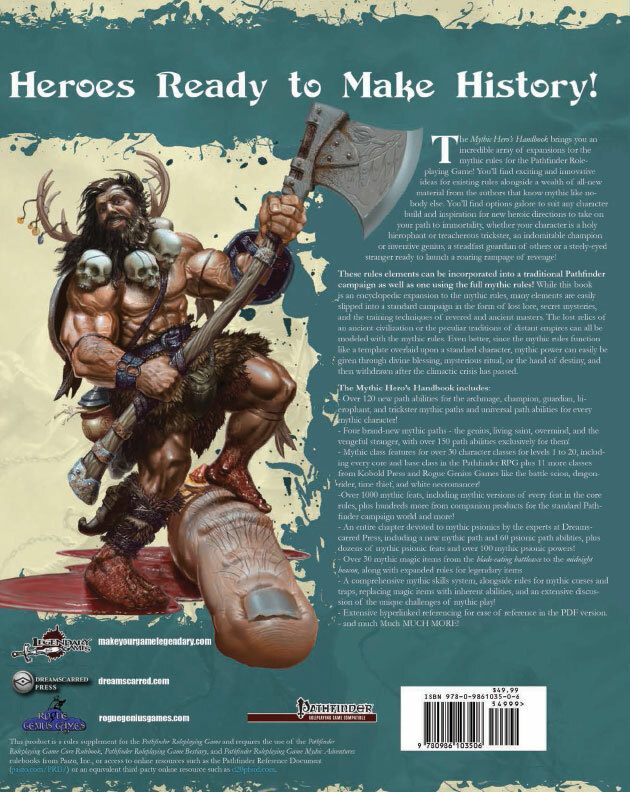 - Over 1000 mythic feats, including mythic versions of every feat in the core rules, plus hundreds more from official companion products and the official campaign setting and more! 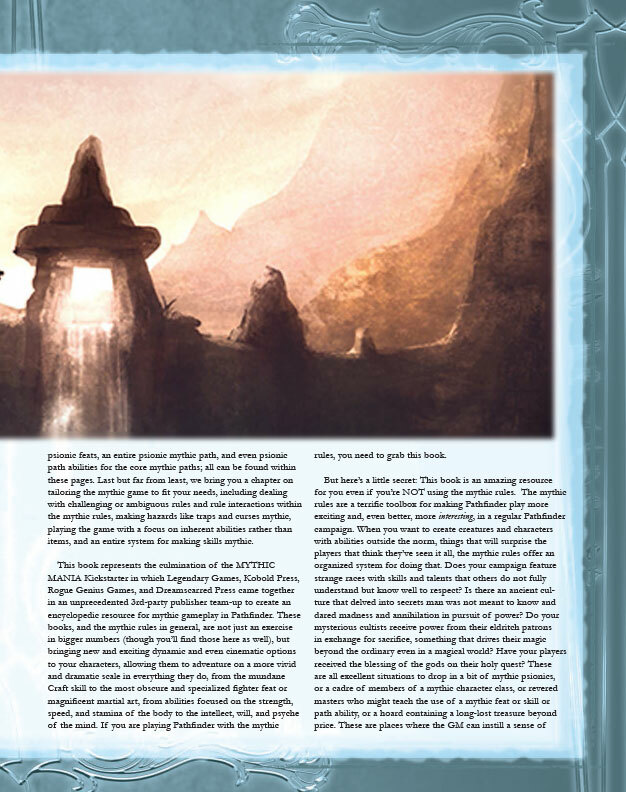 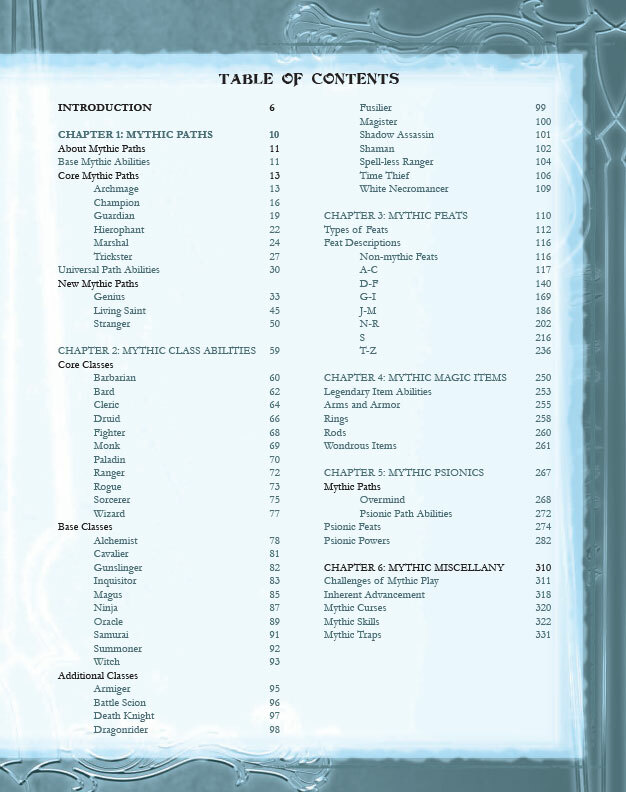 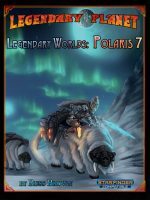 - An entire chapter devoted to mythic psionics by the experts at Dreamscarred Press, including a new mythic path and 60 psionic path abilities, plus dozens of mythic psionic feats and over 100 mythic psionic powers! 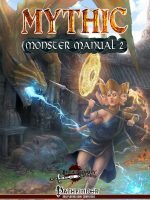 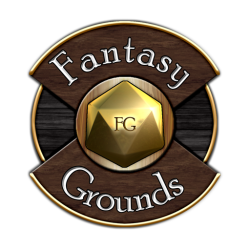 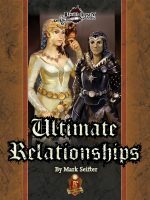 - A comprehensive mythic skills system, alongside rules for mythic curses and traps, replacing magic items with inherent abilities, and an extensive discussion of the unique challenges of mythic play! 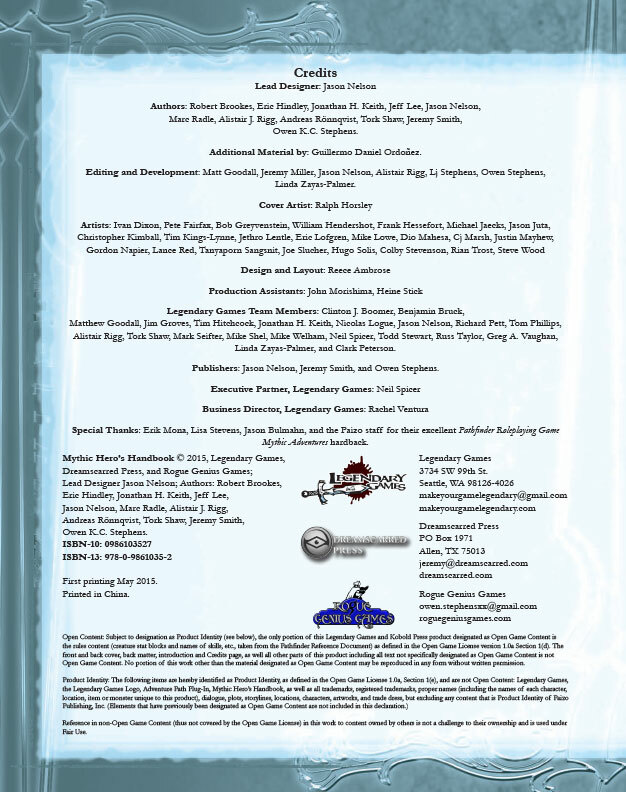 - Extensive hyperlinked referencing for ease of reference in the PDF version.